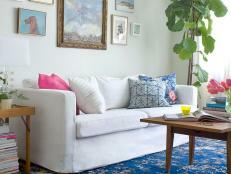 Add easy-care color to your home with air plants. These foolproof plants are perfect for even the most neglectful gardener. Native to the Andes, this air plant (Tillandsia tectorum) has unusually large white scales that create a fuzzy effect on leaves. Photo by: Paul T. Isley III / Rainforest Flora, Inc.
Paul T. Isley III / Rainforest Flora, Inc.
Meet a low-maintenance houseplant that grows without soil. Air plants, known as tillandsia, have earned friendly nicknames among their fans, including tilly and tills. These quirky plants are a type of bromeliad and hail from the Americas—from U.S. southern states to northern Argentina. In their native environs, air plants perch above the ground like botanical trapeze artists, finding footing on tree branches, rocks, rooftops and even power lines. 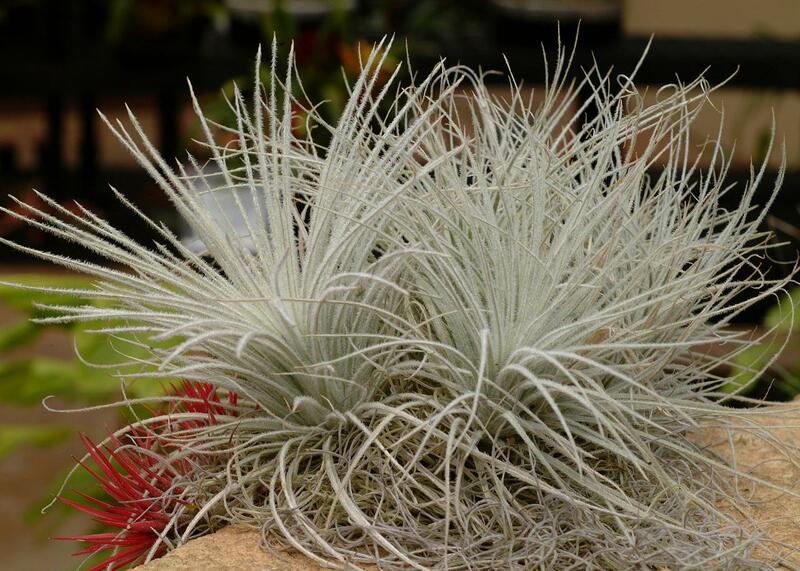 Tillandsias are native to varied natural settings, from open woodlands, to deserts, to tropical rainforests. Like other plants, tillys have leaves, roots and also produce flowers. The difference is that air plants don’t need soil to grow. In an air plant, roots act as anchors, securing plants to their supports. Leaves handle the job of absorbing moisture. Each leaf on an air plant is covered in specialized scales known as trichomes, which have the ability to absorb water and nutrients. Some trichomes are smooth; others are hairy. In a home setting, give an air plant bright, but filtered sunlight, like that found near an east-, south- or west-facing window. Many gardeners place an air plant in a bathroom to take advantage of shower-generated humidity, but having adequate sunlight is more important. Outdoors, a screened porch, lanai or pool enclosure usually gives air plants the filtered sunlight they crave. Watering is probably the trickiest part of growing these unusual plants. In an interior room, air plants often die from underwatering because their owners mistakenly assume the plants absorb moisture from the air. On a cloud-swaddled Andes mountaintop or in a rainforest, that scenario works. In the dry air of a heated or air-conditioned room, air plants need water. Daily misting doesn’t provide sufficient moisture for air plants. 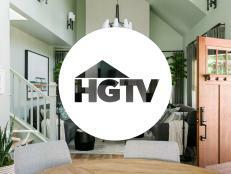 It can help raise humidity around plants, but it won’t ensure survival. If misting causes water to collect where leaves emerge, it can actually kill plants. The best way to water an air plant is to submerge it in a dish of water for 1-2 hours. Air plants only take up as much water as they need, so you won’t overwater by doing this. Use rain water or bottled drinking water. Avoid using softened water; it’s high in salts. If you live in an area with hard water, the chalk content in the water will eventually clog the trichomes on air plant leaves. When you remove plants from the water, gently shake them upside down a few times to dislodge water from the center of the plant. 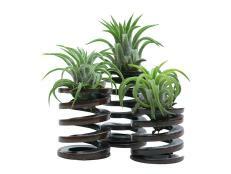 In a typical indoor setting, an air plant watered by submerging shouldn’t need watering for 10 to 14 days. Monitor your plant’s appearance to learn when to water. Take note of how the plant looks the day after watering. Note leaf color and appearance. 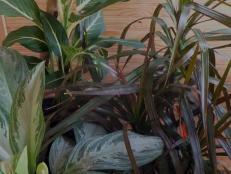 Leaves on a drought-stressed air plant may curl under, color may seem flatter, and leaf tips may turn brown. 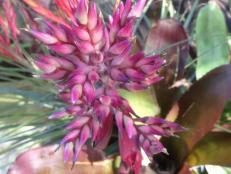 To fertilize air plants, use a water-soluble fertilizer developed for ephiphytes, bromeliads or air plants. These specialized fertilizers contain nitrogen in a form air plant leaves can absorb. Add fertilizer to the water before submerging your air plant. For best results, follow package directions. 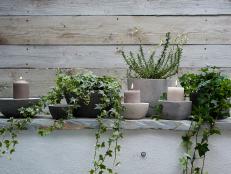 These little lovelies deserve a fabulous planter for being so wonderfully low-maintenance. They don’t call it the new “it” houseplant for nothing. 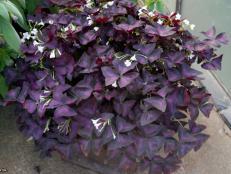 This easy houseplant lives for only a few years, but you can raise its "pups" to be as beautiful as the mother plant. Get the answer to the question: "Are there any really good plants for indoors?" Follow this tip on propagating schefflera. These plants will have your apartment looking like it was decorated by Mother Nature herself. Got a frazzled fern or a distressed dieffenbachia? Get tips on how and when to fertilize and find out which pantry items can be used to perk up your plants. 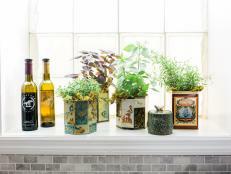 Discover the best way to prepare houseplants for a move outdoors. 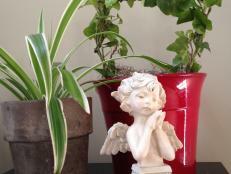 Learn how to keep your indoor plants looking good with these easy maintenance and care tips.